We all know cider in Australia is as popular as ever – you don’t need to be an expert to know that. The industry is growing rapidly, with a trendy yet professional culture evolving amongst producers and consumers. But today is not about Australia’s boom, it’s about our friends in the country of the stars and stripes. The United States is fast falling in love with cider again, with alcoholic cider known to the locals as ‘Hard Cider’. I use the word ‘again’, as hard cider has significant and dignified history in the US, dating back to when the country was first colonised. To keep a story shot, issues like prohibition, conversion to eating apples over cider apples, and the production of beer severely impacted the production of cider many years ago. Hard cider became almost non existent in the US over a long period of time falling out of favour. But today after tireless effort and fortitude, hard cider is once again popular and well accepted. States of Oregon and Washington in the Pacific North West, New York, New England and Vermont in the East Coast and Michigan of the Great Lakes are all proud cider making regions. Differing styles are being represented and produced, with the use of both cider apples and dessert apples. We are starting to see a tiny trickling of US made cider in Australia, but I am predicting we will see more over the coming year hit our specialty retail bottle shops. Fingers crossed. 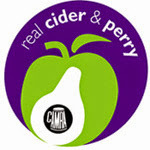 All About Cider is currently getting some large traffic numbers from the US, and I believe it is due to this cider boom. But with this exposure, I found myself itching to try their creations and see if there were any comparisons with Australian made cider. Then just out of coincidence, I received an email which would change all this. It was from a PR company who represent Tieton Cider Works of Washington State. After a couple email exchanges, a Tieton Cider Makers Reserve was going to be packaged up and sent over to me in Australia. Founded in 2008, Tieton Cider Works (pronounced tie-eh-tun) run by Craig and Sharon Campbell, is situated in the Yakima Valley in Washington State. The orchards have been in the family for almost 100 years with cider apples, heirloom apples and crab apples all grown in abundance in the fertile soils. The orchard is currently one of the largest plantings of cider apples in Washington State too. The Tieton ciders produced are an eclectic bunch consisting of a cherry cider, apricot cider, dry hopped cider, bourbon barrel aged cider, perry, frost cider and reserve cider for example. The cider I was lucky enough to have sent to me was the Tieton Cidermaker's Reserve which is an aged two years in bourbon barrels, 60 per cent bittersharp/40 per cent dessert, and 8 per cent alcohol blend. A special cider indeed with only 700 cases made. So what did I think of it? Was it still similar to the ciders we make in Australia? Let’s find out. For a barrel aged cider which has a large per cent of cider apples present in the blend, I expected the colour to be dark and rich. The Tieton was opposite of this, being a light golden straw with just a hint of a haze. The carbonation offered up a nice mousse on pouring, and a nice medium bead to follow. The nose was quite shy and some what introverted to what I was expecting too. It was very clean and fresh and showed delicate green apple aromas, with citrus and floral notes and plum. There were hints of old nutty oak along with a creaminess, musk and vanilla – elements of the bourbon oak. I loved the purity as a whole. This nose was very similar to ciders made in Australia, with the essence of strong fresh characters and unsurpassed purity. Straight up, a subtle medium sweetness hit the front palate with a balanced level of structural acidity. Some delicate phenolics added a soft texture, and coated the sides of the mouth well. Nice cider apple flavours, citrus and apple skin graced flavour profile. From these features it’s obvious this cider is a make up of cider/dessert apples. The mouth feel felt nice and full, with a well balanced 8 per cent alcohol. The back palate faded a touch in its fruit flavours as it was overtaken by a slight bitter character, but a lovely foamy carbonation rounded out the palate. A very simple palate in its make up, but overall a well made and solid example. Just watch the alcohol. Overall, I really enjoyed my first experience of US cider. It was clean, crisp, inoffensive and very drinkable. It was also a good example of a ‘hybrid’ cider, and I think we will see more of this in Australia too. This US cider experience has only fuelled my desires to try even more. 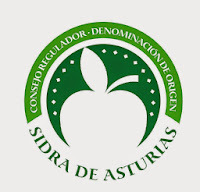 I’ve had tonnes of Pays de Auge, I’ve had a score of Somerset and Herefordshire and I’ve had my fair share of Asturias. Next on my list is to track down more artisan/boutique US cider, and I can’t wait to somehow get my hands on some. I must thank Kirsten Graham from Kirsten Graham PR and Paula from Tieton Cider Works for making this all happen.